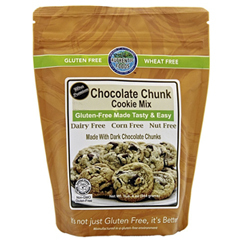 Indulge in the soft, warm, home-made taste of REAL chocolate chunk cookies again! These easy to make decadent morsels are certain to please your entire family! 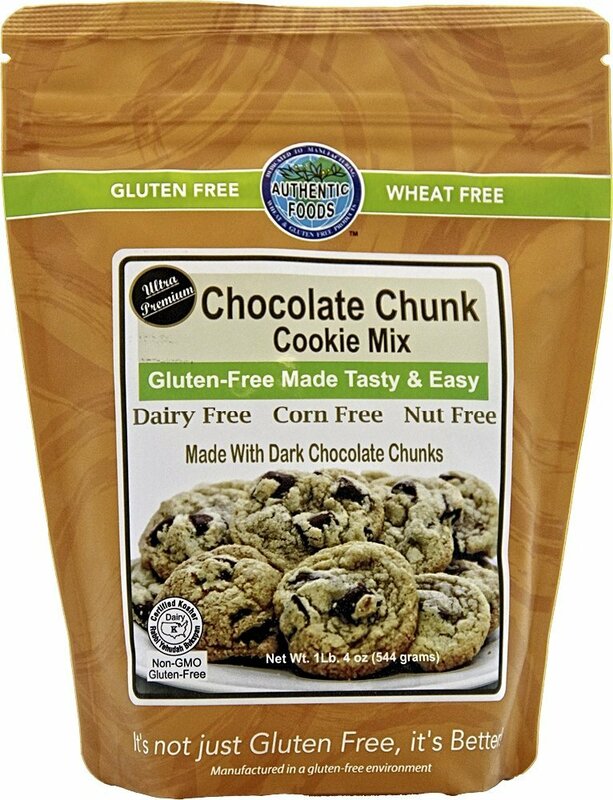 Ingredients: Semisweet chocolate chips (granulated cane juice, unsweetened chocolate, cocoa butter, sunflower lecithin, vanilla), rice flour, cane sugar, potato flour, tapioca flour, plant fiber, baking soda, salt, natural vanilla flavor. Mix the cookie flour with softened butter. Beat the eggs along with the water until pale yellow. Add to the cookie mixture. Mix well. 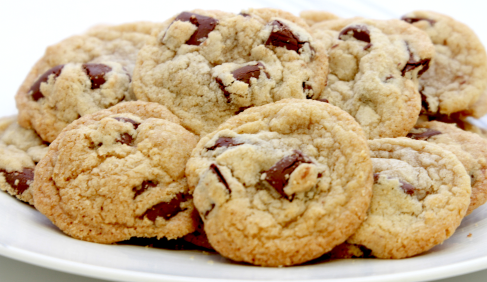 Fold in the chocolate chunk chips and drop rounded tablespoons of dough 2 inches apart onto ungreased cookie sheet. Bake for 12 to 15 minutes or until brown. Rest for 5 minutes before removing from baking sheet. Place cookies on a cooling rack and allow them to cool completely. Store in airtight container.